​WHAT IS A CHEMICAL ANCHOR ? 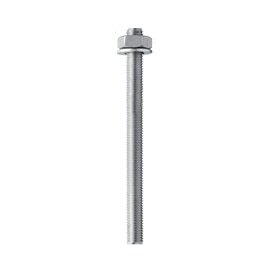 ​"Chemical or resin anchors are generic terms relating to steel studs, bolts and anchorages which are bonded into a substrate, usually masonry and concrete, using a resin based adhesive system. Ideally suited for high load applications, in virtually all cases the resulting bond is stronger than the base material itself and as the system is based on chemical adhesion, no load stress is imparted to the base material as with expansion type anchors and are therefore ideal for close to edge fixing, reduced centre and group anchoring and use in concrete of unknown quality or low compressive strength. Although there are many differing variations and delivery systems in the market, all systems operate using the same basic principle with the base resin, requiring the introduction, by mixing, of a second component to begin the chemical curing process, hence the term chemical anchor." ​A chemical anchor is a 2-component reaction resin mortar for the medium and heavy load anchoring of add-on pieces in mineral substrates. A special mortar formulation exists for almost every kind of mineral substrate, so that the best possible anchoring can be ensured. Chemical anchoring is becoming increasingly popular as it has many benefits when compared with mechanical anchoring. 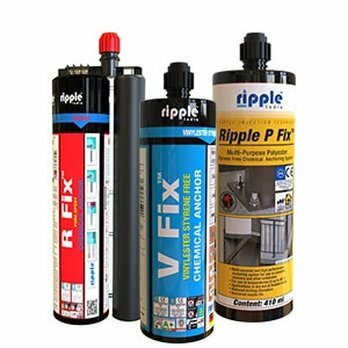 There are various options when it comes to selecting epoxy resins and the respective hardening components, which in turn enables an exact determination of the properties of 2-component injection mortars manufactured from the two components to be determined exactly and adapted to suit specific requirements. 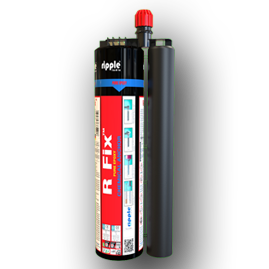 Hardened 2-component epoxy resin injection mortars are characterized by very good thermal and mechanical properties and an outstanding resistance to chemicals. The amount of shrinking due to hardening is very low, and good compound properties achieve outstanding load values in diamond-drilled drill holes and larger annular gaps. Replaces traditional metal anchors and makes new applications possible, especially as a result of an anchoring to narrow centre distances which are extremely close to the edge being possible. Epoxy based mortars are suitable for underwater applications and use in extreme environments. 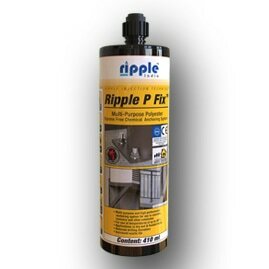 Ripple Construction Products Pvt Ltd is a specialist in Anchor Fastening Technology providing Innovative solutions to our customers. 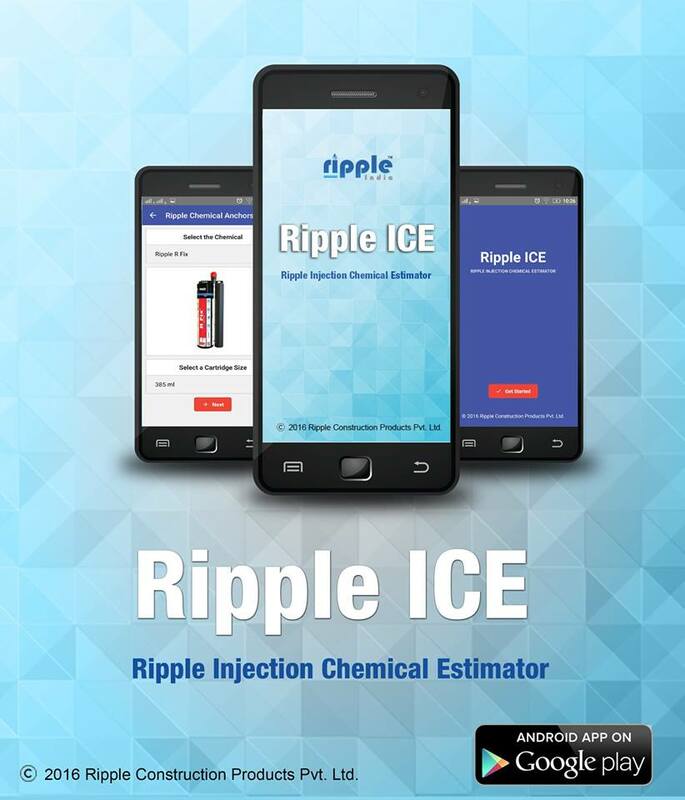 The chemical consumption and the number of cartridges required can be easily estimated with the help of this Ripple ICE application. 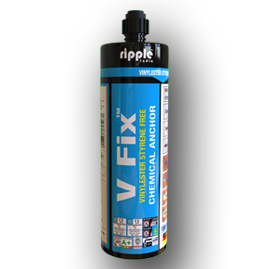 The App is also common for Ripple V Fix & Ripple P Fix.